Two pages from Sensation Comics #5. Etta doesn't care if her candy is soggy, moldy, or whatever because she still eat it! 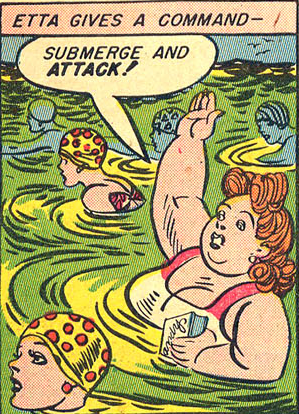 Also, continued props to Etta Candy's crew! Shame they won't be able to adapt that into the movies - it'd have added a dimension to the 'crazy college sorority' trope. 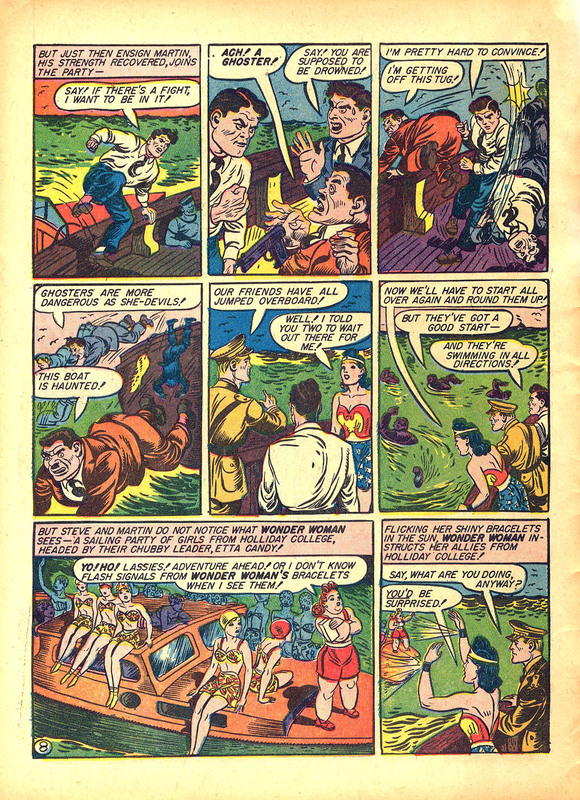 I've always loved Wonder Woman's Golden Age stories. Always something special in each one! Yay, Etta and the Holliday Girls!